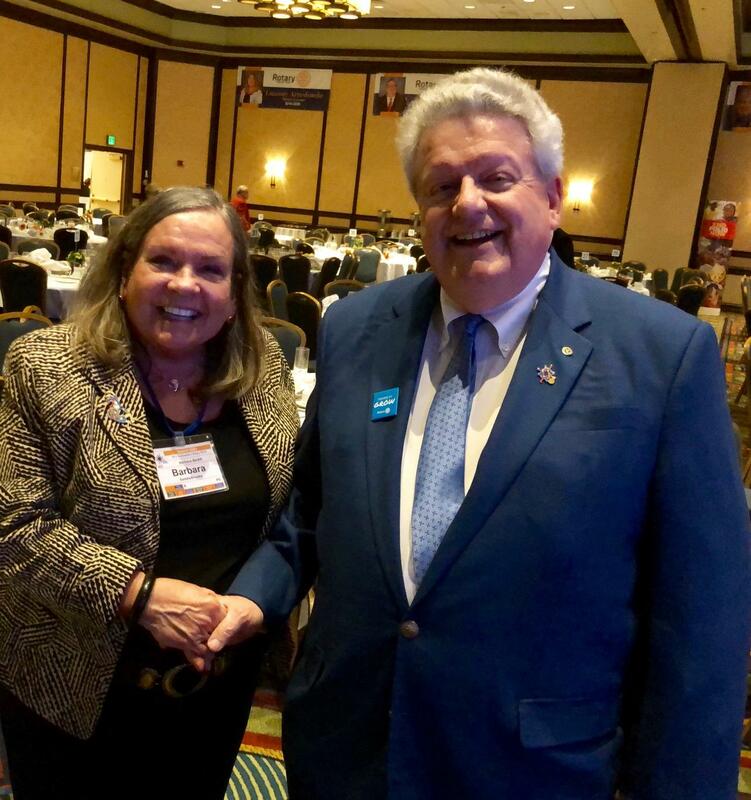 The Two President Elects: The President Elect of the Rotary Club of SaddleBrooke and the President Elect of Rotary International: Barbara Barr and Mark Maloney met at PETS (President Elect Training Southwest) in Los Angeles. President Elect Mark Maloney was the key note speaker at the Friday night dinner. The President Elect of Rotary International stressed that Rotary's number 1 focus of the next year needs to be membership!